This book has been sitting on my to be read shelf for three years since Jordan gave it to me. It is the story of LaVerne Williams, a former KC Athletics player, who runs a bbq joint in Kansas City. It is the story his life and the lives of those around him, a couple of young men from abusive homes, his family, a real estate developer and his son, a seminary professor and the women in their lives. It is a non linear story but that works here as we get each character’s backstory in bits and pieces. It is a story that is hard to describe but it is awesome and the best bbq around. I came to really like it. I felt at first that the ending was anti climatic, but that is how life sometimes feels. Did I enjoy it? The structure of the story was unusual but it ultimately worked. I enjoyed getting to know the characters. What is with the title of the review? The four main ingredients of the story are barbecue, baseball, blues and the Bible. Not since The Book Thief has an emotion or concept been so effectively channeled as a character. Through the ages Love and Death have played a game to see which is stronger. This game starts in Seattle in 1920 with two players from disparate backgrounds who will have to face immeasurable odds just on their own, but death keeps complicating things, as if an African American and a Caucasian didn’t face enough odds in the USA in the 30’s and 40’s. 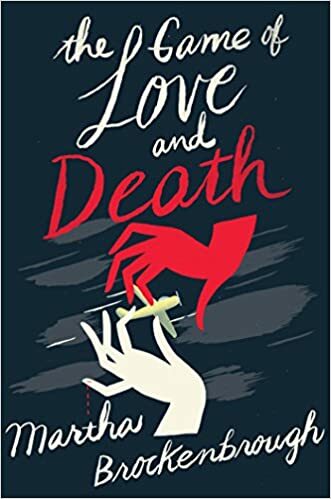 Baseball, jazz, aviation all provide the background for a moving love story of two people fighting almost impossible odds. Did I enjoy it? Yes, there were parts of this that I left this world and inhabited the world of the book. Everything that was around me dissolved when Martha talked about baseball in an early chapter and later when Henry interacted with Jazz music and when Flora flew. Martha I was moved deeply. Thank you. What is with the title of the review? The were parts of the story that transported me to another place and time and I felt that I was not on the bus reading but inhabiting the story. Kevin Cook’s father was a minor league pitcher, who retained some of his baseball capability even after he retired from the game. Although I think no ever really retires from the game they are usually involved in some way even if it is just checking the standings each day. Kevin’s thoughts on his and his dad’s relationship moved him to interview families who were all involved in the major leagues, including the Boone family and Dan Haren and his father. There were several other families but I can’t remember them. If is an interesting look at how it is when you follow directly or almost directly in someone’s footsteps. How do seek advice, do you seek advice, do you follow that advice and more. Did I enjoy it? Yes, it like many of my favorite movies is not really about baseball but about father and son relationships and how those are strained by societal norms that were imposed by the culture we were raised. I would think that the macho atmosphere of athletics would be very similar to the warrior mythology that I was raised in. What is with the title of the review? 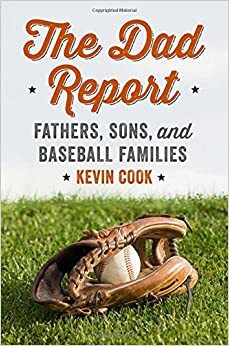 Much like Kevin Cook and his father don’t speak much of emotional issues, but talk about baseball to convey their love for one another, my Dad and I talk about books. I just realized that with one of my sons we talk about movies and the other we talk about music.